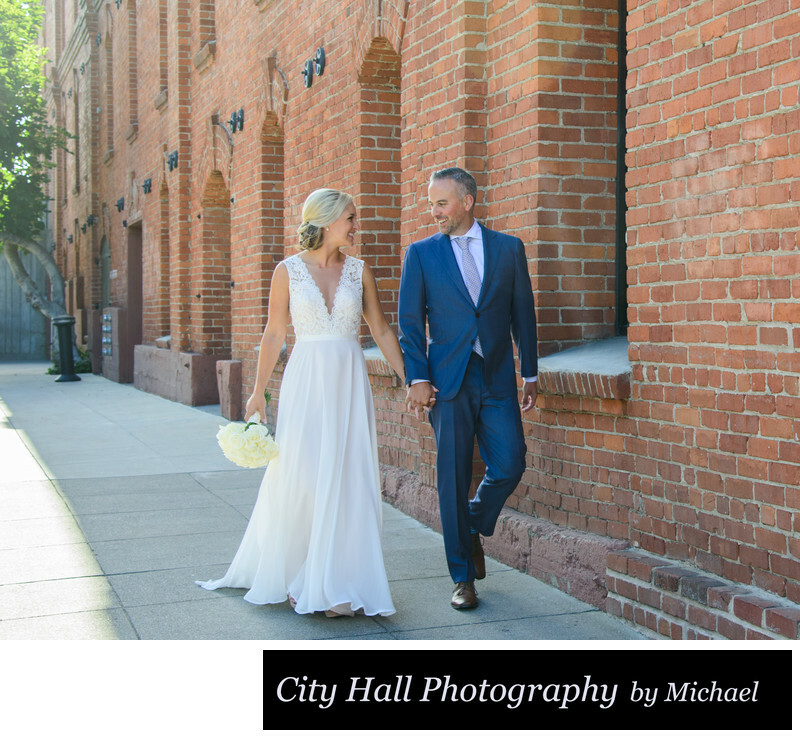 Wedding Photographer San Francisco City Hall - Ghirardelli Walk - Amy and Patrick City Hall Wedding Gallery - SF Tour and North Beach Reception. For the image above, we just asked our couple to walk around this part of the city and look at each other holding hands. Just a natural image captured while strolling around San Francisco.